Samsung announced two new smart wearables: the Gear Sport and the Gear Fit2 Pro. The Samsung Gear Sport is a Tizen-powered smartwatch that comes in a sleek yet durable design with a round Super AMOLED display with a resolution of 360 x 360 pixels. The display is protected by Corning Gorilla Glass 3. It is powered by a dual-core processor with 768MB RAM and 4GB of non-expandable storage. It is also compatible with any third-party 20mm watch bands. It has a smorgasbord of sensors and connectivity options, which include Bluetooth 4.2, Wi-Fi, NFC, GPS w/ GLONASS, accelerometer, gyroscope, barometer, heart rate sensor, and an ambient light sensor. Everything is powered by a 300 mAh battery, which supports wireless charging. Like the Gear S3 Frontier, it is aimed at sports enthusiasts and people who have an active lifestyle. It is water resistant up to 50 meters and up to 5 atmospheres, and dust resistant, thanks to its IP68 certification and is also shock resistant, thanks to its MIL-STD-810G certification. It has apps like Speedo On and those from Under Armour. 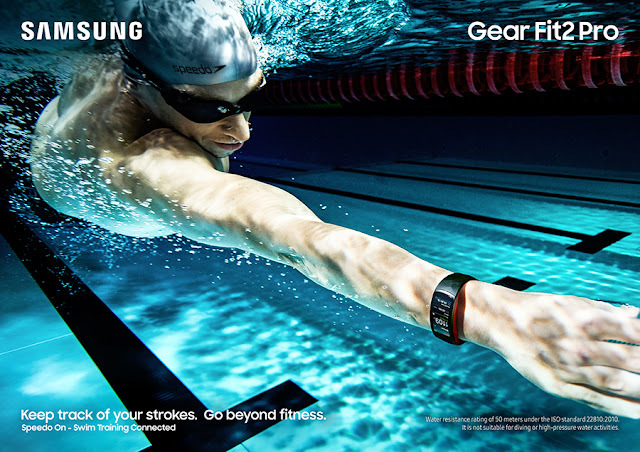 The Gear Sport is compatible with Samsung Galaxy smartphones running Android 4.3 or later, other Android devices running Android 4.4 or later, and newer iPhone models running iOS 9. It is also compatible with a range of Samsung IoT via Samsung Connect. It also supports NFC, thanks to Samsung Pay. It is available in two colors: black and blue. Then we have the Gear Fit2 Pro, which is a smartband and a more capable version of the Gear Fit2. For one, it has better strap bands than its predecessor. And like the Gear Sport, it is water and dust resistant up to 5 meters and up to 50 atmospheres. 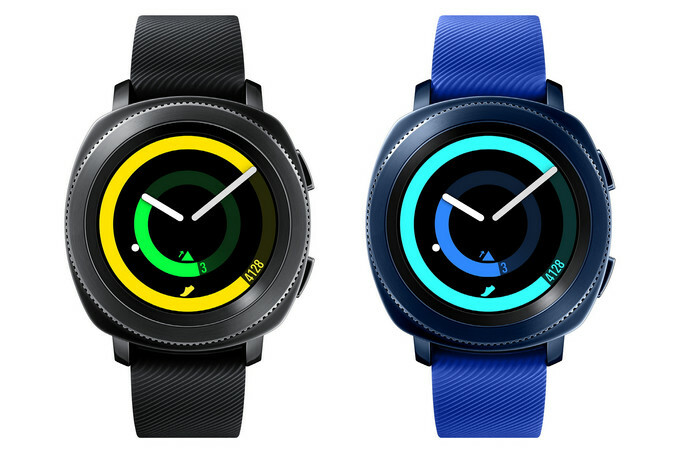 Like the Gear Fit2, it has 1.5-inch Super AMOLED display, GPS, a 200 mAh battery, and runs Tizen OS. It will retail for $199.